Spacious and great for family or friends! The most popular size for travelers to Branson, two bedroom cabins provide the space and room for many different types of travelers. Typically, these units range in size from 1,000-1,500 square feet and are able to sleep up to 6 people – making them an ideal choice for couples traveling together, families, or friends. The layout of the cabins make them a very appealing choice for accommodations as they (usually) feature two master bedrooms that are accompanied by their own master bathroom, which helps provide some space and privacy for travelers. 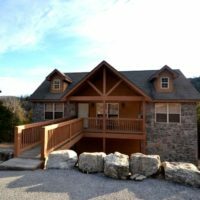 Designed to make your stay memorable, comfortable, and enjoyable – there is a large selection of two bedroom cabins in Branson that would make the perfect place to stay on your next visit! Whether you’re traveling with a group of family or friends – these units can sleep from 6 to 8 people (depending on the bed layout) – and most feature a pullout sleeper sofa in the living room. 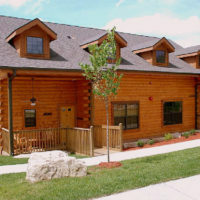 All of the cabins feature two bedrooms and two bathrooms, making them a great choice for most travelers to the area. As these size properties are in high demand, we recommend booking early in order to ensure you get what you want! 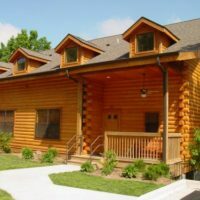 There are a select few 2 bedroom cabins in Branson, and they book fast!